Wine is a wonderful. It can be enjoyed on its own and it can bring out the best in food. For every meal, there is a wine. For every moment, there is a wine. Yes, wine is wonderful. We're looking forward to trying the cheese from Black Sheep Creamery. It’s hard to think of a more perfect combination than wine and cheese. Perhaps that’s because both wine and cheese are so diverse. There are big, bold Cabernets and there are light, effervescent, whites. There are delicate goat cheeses and strong blue cheeses. It would be easy to devote a lifetime to finding perfect combinations of wines and cheeses, and people have. The right combination can be out-of-this-world. 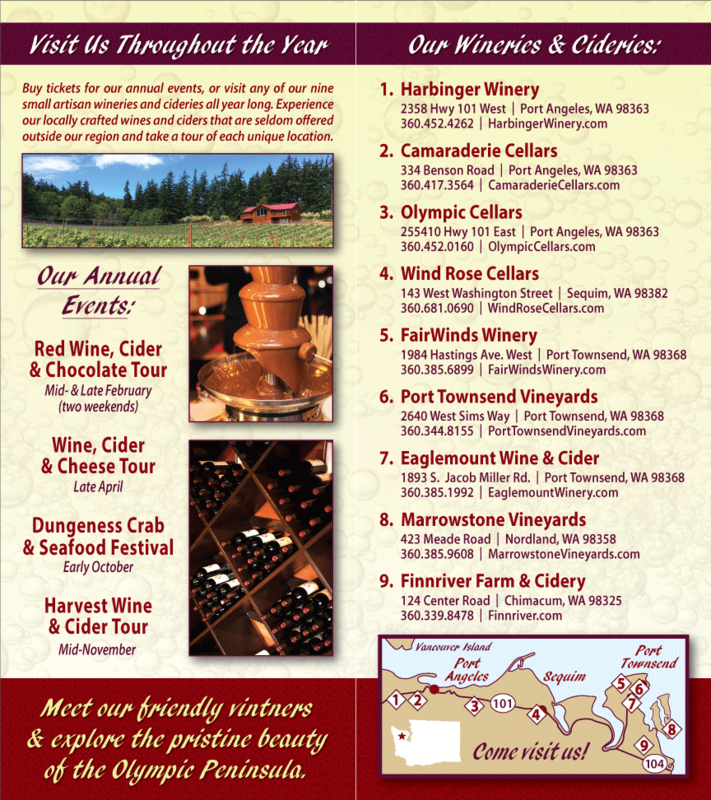 The Wineries of the Olympic Peninsula are looking forward to trying new combinations of Washington State Wines and Cheeses during our upcoming Northwest Wine and Cheese Tour, April 14-15, 2012.